The city is going after a law firm that failed to file court documents within deadline forcing taxpayers to pay out $165,000 in judgment on Tuesday night for a motor vehicle accident case filed by a woman injured when a sweeper struck her vehicle. 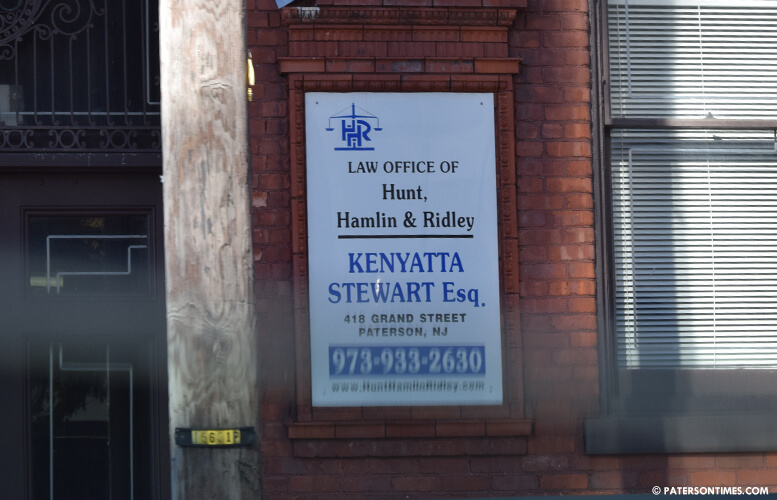 Kenyatta Stewart, a partner at the Hunt, Hamlin & Ridley law firm, which has offices in Paterson and Newark, said some of the delays resulted from internal staffing problems at the firm and difficulties in securing a settlement authorization from the mayor and the council. Stewart said an employee no longer at the firm is responsible for the debacle in an interview with the Paterson Times when the judgment was issued against the city two months ago. He did not respond to a call for comment on Thursday. That employee, Navarro Gray, did not accept blame for the debacle. “I didn’t miss the deadline. There was another attorney who was handling the case before me. He now works for the city of Paterson. He missed the deadline,” said Gray. Pressed for name of that attorney he alleged is responsible, Gray refused to divulge the name. He said the case was given to him after deadlines were missed and he attempted to file within time by hand delivering the notice to the attorney. Stewart personally guaranteed the city would be reimbursed. He said Gray, who started the Hackensack-based Gray Law Firm after leaving Hunt, Hamlin & Ridley, would reimburse the city for the error. Stewart’s law firm is no longer working for the city. The firm received a legal contract from the city under mayor Jeffery Jones, who is a friend of Stewart’s, but the firm lost the contract when mayor Jose “Joey” Torres took office. There is always another excuse for Paterson losing more money, always.